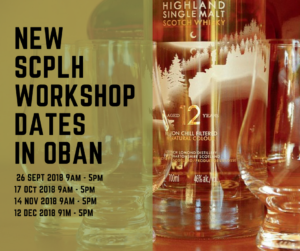 Scottish Certificate for Personal License Holders (SCPLH) – new workshop dates released. Our full day Personal License training workshops & exams will be held in the new Oban venue, The View, George Street, Oban. We will also travel to any location within the Argyll & Bute, Highlands and Western Isles Council regions. We will deliver either in your business or in a central location. Please contact us if you wish to enquire about availability of courses in your area. Quoted price includes workshops, exam and refreshments, plus after course support.